This fantastic rustic style shelving unit is ideal for the shabby chic, country cottage home decor. 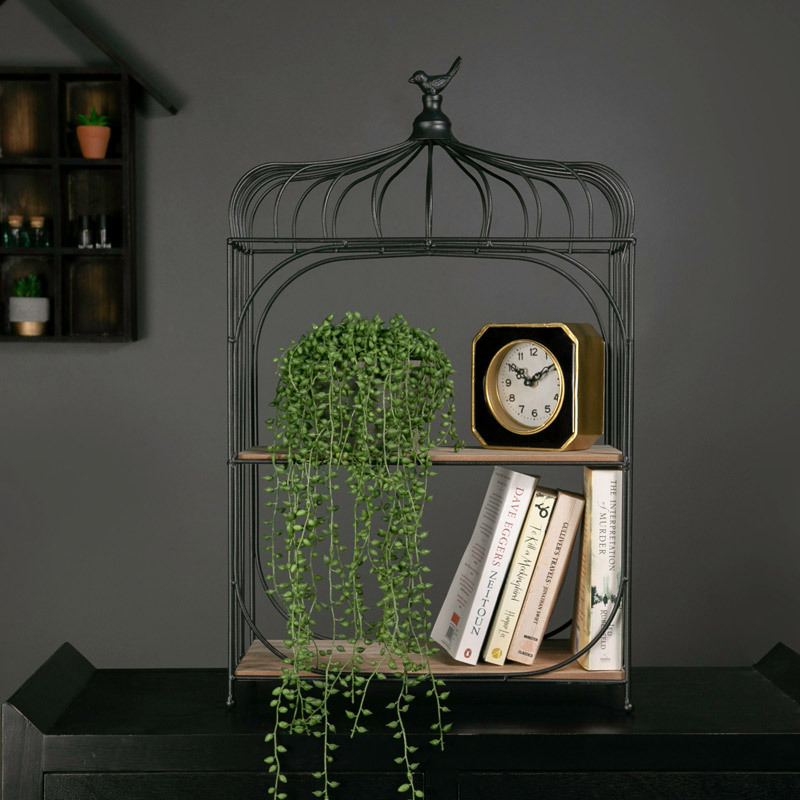 Two tier bird cage style that offers a storage and display solution for the kitchen, living room or hallway. 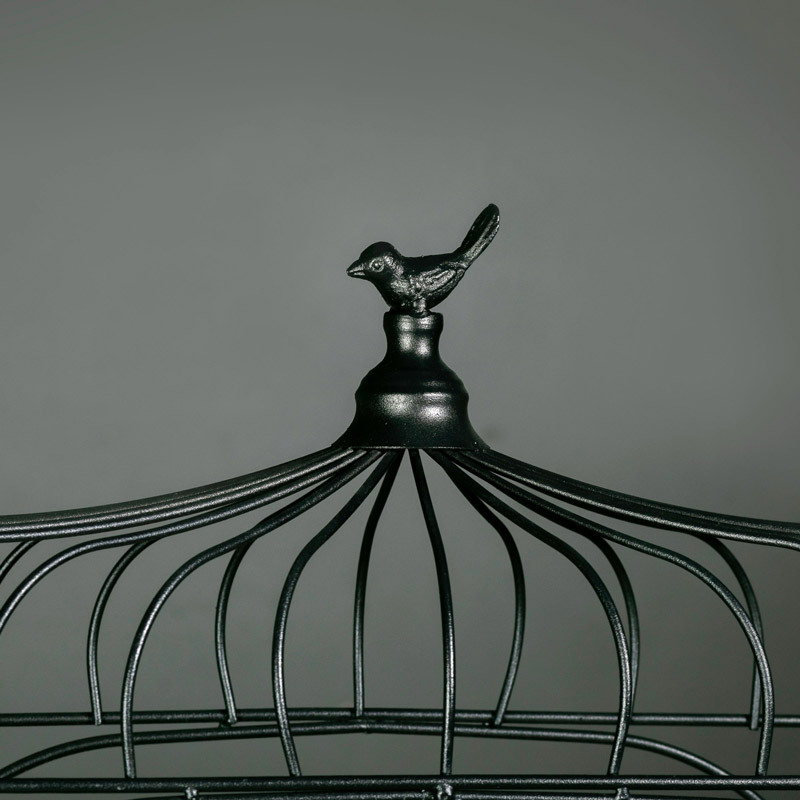 Beautifully designed in a birdcage with a bird perched atop the frame. Two shelves offer a great display surface for ornaments, plants or books and can also be used for a more practical purpose. Suitable for a themed interior or simply to add a touch of rustic charm. This fantastic rustic style shelving unit is ideal for the shabby chic, country cottage home decor. Two tier bird cage style that offers a storage and display solution for the kitchen, living room or hallway. Beautifully designed in a birdcage with a bird perched atop the frame. Two shelves offer a great display surface for ornaments, plants or books and can also be used for a more practical purpose. Suitable for a themed interior or simply to add a touch of rustic charm. Constructed with a metal frame painted in black with a rustic feel and 2 natural wood shelves. Freestanding design that can be placed on the floor or on a table or console top.